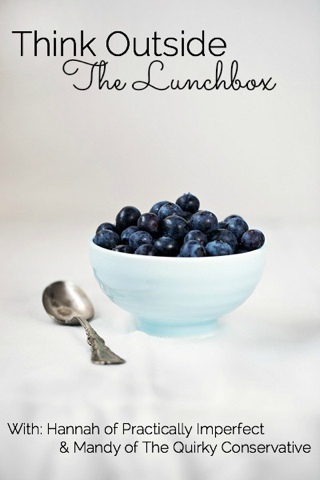 Welcome to week two of Mandy’s and my “Think Outside The Lunchbox” series! If you missed last week’s post, you can find it here. I must say, I was hesitant about our meal topic this week. Usually I am NOT a fan of salad. I wondered how I was going to write about an awesome salad recipe when I myself practically hate it! Then I realized that I needed to have an open mind because salad can be a great, healthy lunch option. So for the sake of this series, I decided to give it another go, and I ended up finding a salad that even I love! This is a great school lunch option because all you need to do is combine the spinach, bacon, and egg into a Tupperware container. Once lunchtime arrives, drizzle the dressing over the top and you’re good to go! Unlike Hannah, I am head over heels in love with salad. No, that is not an exaggeration. I eat a salad with almost every lunch and almost every dinner. I’ve actually had salad for breakfast before (that is 100% true, my nose is not growing). Being gluten free and a vegetarian, eating out in always a challenge. That's why I love salads so much! Salads are the one thing I can always count on to be allergy friendly. However, there are only soooo many salads you can eat in your life. After a while, all lettuce tastes the same. Thankfully my mother has an awesome group of friends with food allergies that likes to pass around recipes! This gluten free and vegan rice lentil salad is a great way to spice up my daily salad intake!